I first posted this Blog FIVE years ago – on Boxing Day, 2012. To this day it remains the most popular Blog on my site in terms of ‘beauty tips’. And yes, I DO still use Careprost on my eyelashes. For those of you who missed the original, the information is still current and I’m still ordering the product through All Day Chemist. This is the best product I’ve found to help with eyelash length – and I HAVE tried other much more expensive brands over the past few years – just in case there’s something better out there. But there isn’t. If you look at the before and after photos of my lashes, you’ll see proof it really does work. I first learnt about Careprost when I was working as an MC at a charity function and was seated next to the keynote speaker – a young doctor who was speaking about the prevention of stroke. Not only was she smart and very attractive, I couldn’t help but stare at her eyelashes. Long, thick and dark – I could only assume she’d had extensions. Over lunch we struck up a conversation and, trying to be tactful, I asked what mascara she used. She told me the secret wasn’t her mascara, but a treatment she used nightly. She’d been given the tip from another female doctor who, while researching glaucoma treatments, discovered a wonderful side effect of the eye-drops they were testing, was that all their patients had developed amazingly long lashes. 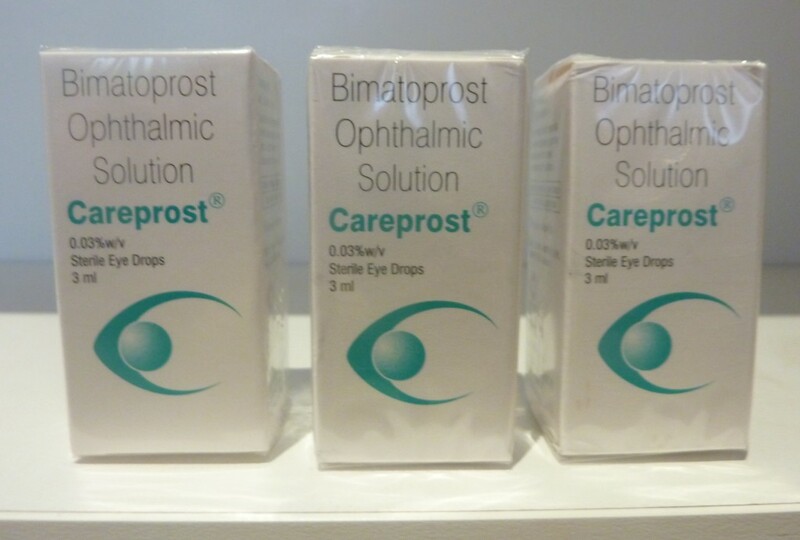 The product is called Careprost and can be ordered from an Indian on-line pharmacy called All Day Chemist. (www.alldaychemist.com) It costs only $11.00 and I’d recommend when first ordering, to spend the extra ONE DOLLAR buying the application brush as well. As the product is so cheap and postage isn’t, I’d also recommend buying there or four bottles at a time. The bottles are also quite small so it’s worth buying a couple at least. Check out these before and after photos of my eyelashes as proof of the improvement. This photo was taken when Tom was just a toddler and he’s now fifteen. So you would expect more than ten years ago, my lashes would have been a little bit fuller and longer than they are today. Now here’s a shot of my lashes today – even without mascara. With mascara, it almost looks like I’ve glued on falsies – but I haven’t. It’s just a case of dipping the brush into the tiny bottle each night, and wiping the fluid along the lash line. Some say you shouldn’t brush the liquid UNDER the eye, as it may cause irritation, but I do the bottom lashes as well and haven’t experienced any problems. Overall, it will probably take a couple of months to see a difference, but it’s worth it. I tried having eyelash extensions once and found it not only expensive, but the tendrils drop off pretty quickly – not to mention the sheer horror of having to lie still for more than an hour to have them applied. THAT drove me crazy. There’s one more thing. I do believe the mascara I use is one of the best on the market and also contributes to the appearance of longer lashes. 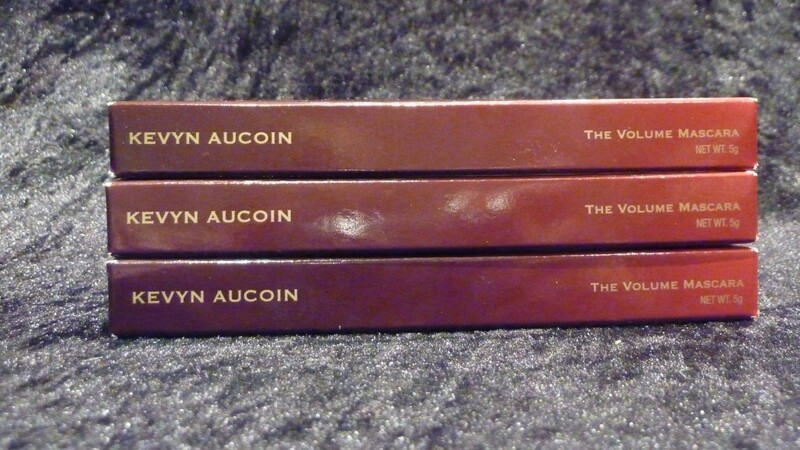 Kevyn Aucoin mascara. It’s produced under the Kevyn Aucoin make-up line – Kevyn being a formally famous Hollywood make-up artist, renowned for his brilliance. It’s a bit more pricey here than overseas, but it’s practically impossible to buy it on-line, as Mecca have the sole rights to importing it into Australia. Which means you can only buy it at Mecca and it’s about $35. Oh yes, and I’m also rather fond of the Kevyn Aucoin marketing strategy which spins a good philosophy. So there you have it guys – my Christmas gift to you – the secret to longer lashes! Long may yours grow. This entry was posted in Beauty, Opinion and tagged All Day Chemist, Boxing day cricket, Careprost, Christmas presents, eyelashes, I-Pad, Kevyn Aucoin mascara, Long eyelashes, Mecca by JenniferHansen. Bookmark the permalink. Fantastic, thanks for the advice Jen. I’m definitely ordering! Take a before and after shot and let me know how it goes! I wish I had the money to buy the company – huge potential. Your lashes are amazing, I’m definitely going to give it a go. Thanks Jen. Thanks Kaye – let me know if you see a difference too! Nice to meet you yesterday! Thanks for the tip about the eyelashes. I’m certainly going to buy myself a few bottles. It’s an impressive product and I don’t have the patience for eyelash extensions. I’ll keep you updated.